You delivered it, you earned it. You’ll get the option to cash-out your earnings every day. 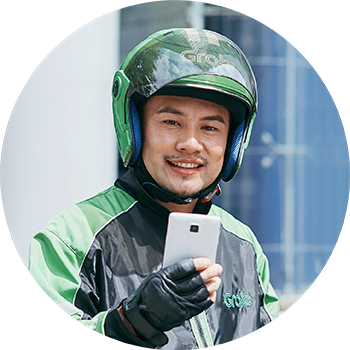 Sign in to the Grab Driver app, start delivering items and earn more! It is an on-demand delivery service that we are currently running to provide convenience to our customers. By booking on the app, you can send items such as documents, parcels, and gifts to your business partners, family and friends. How do I earn money as a GrabExpress delivery partner? A GrabExpress delivery partner gets paid a fixed amount per trip plus incentives as part of his take home pay. We currently offer GrabExpress across selected areas in Bangsar, KL Sentral and Kuala Lumpur City Centre and will be looking to expand to more locations as soon as possible! What are your operations hours? GrabExpress is operational from 8am until 12am. How many hours do I need to work per week as a GrabExpress delivery partner? You can decide how much or how little you want to work. 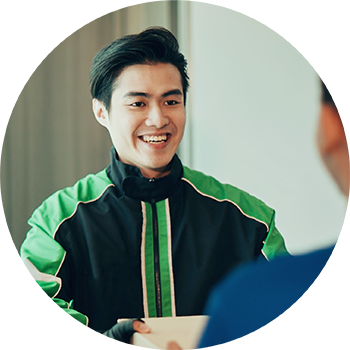 Simply sign in to the Grab Driver app and deliver any time you want. Financial freedom is not far away. 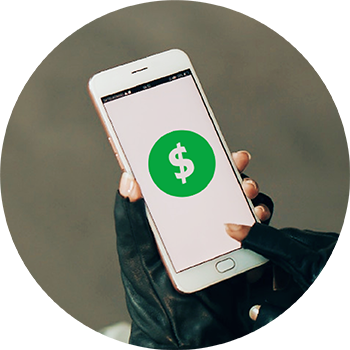 You can cash out on a daily basis and receive payment within the same day! What items can I deliver using GrabExpress?